As seen in The Zoe Report "Sleeping Beauty: 12 Ways to Get Gorgeous While You Snooze"
Fight wrinkles with your eyes closed. An overnight solution to help maintain your skin's youthful appearance and minimize the visible signs of agingincluding fine lines, wrinkles and lack of smoothness. Pillowcase fibers are carefully embedded with copper infused technology, derived from the well-known essential mineral. 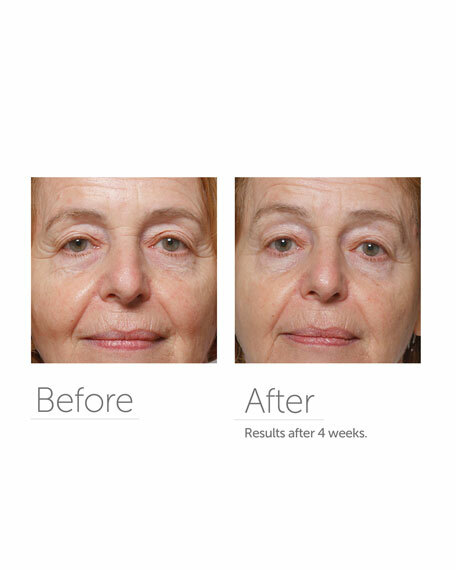 Clinically proven to reduce the appearance of wrinkles for smoother, younger-looking skin in as little as 4 weeks. How to use: Slip your Skin Rejuvenating Pillowcase over your favorite pillow and sleep on it nightly for younger-looking skin in as little as four weeks. 100% Cupron® Copper Infused Polyester. Thread Count 249. Standard Size 20"W x 26"L.
Machine-washable. Do not use fabric softener in washer or dryer sheets in dryer. Color and anti-aging technology proven to last over 100 washes. Action lasts for life of the product. 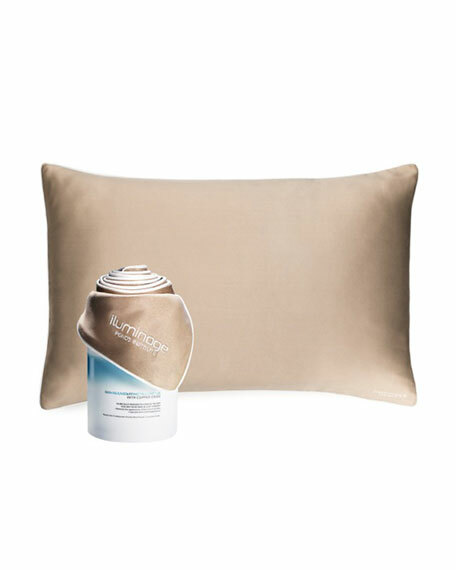 The Iluminage Skin Rejuvenating Pillowcase is specially woven with Cupron's copper oxide fibers, clinically proven to reduce the appearance of wrinkles for smoother, younger-looking skin is as little as four weeks with continued results over time. Crafted with satin-soft, yet durable materials and a safe, non-irritating thread embedded with copper oxide fibers. Skin gets the beauty sleep it needs to help maintain a youthful appearance and minimize the visible signs of skin agingincluding fine lines, wrinkles and lack of smoothness. Copper has been used in make up, face creams and other skincare products for many years. The copper oxide can be activated by moisture and this is believed to be the driving force behind copper oxide pillowcase's natural skin enhancement properties. Copper oxide embedded fibers interacts directly with your skin to help improve overall skin appearance and/or reduce the appearance of wrinkles. The mechanism of action for the iluminage Skin Rejuvenating Pillowcase may involve the release of copper ions to the skin's surface. When skin functions at optimal levels, as noted in scientific literature, the natural production of collagen and elastin is maintained, giving skin its strength and elasticity. Copper technology improves skin's overall appearance after 4 weeks*- with a continuing effect over time. *According to clinical results from four independent double blind placebo controlled studies conducted in Israel, Korea, Texas, and New Jersey, copper technology was shown to provide a statistically significant improvement in overall skin's appearance and a reduction in the appearance of wrinkles and fine lines in just four weeks. iluminage is a luxury beauty brand founded in 2011 by Unilever Ventures. It is the new intelligence in beauty solutions, architects of high-tech, ground breaking devices and intelligent textiles designed for at-home performance as never before. The iluminage line offers cutting-edge, clinically proven and interactive skincare solutions for skin rejuvenation, and will address the key beauty concerns women encounter, as it further develops its range of products. For in-store inquiries, use sku #291072.